Aamir is Back.😎 with huge Dangal collections ! Dangal collects a large 30 crore collections on day one😮. It is the second highest box-office opener of the year after Salman Khan's "Sultan" which had collected 36.60 crores. Interestingly, Sultan also had same concept: Indian Wrestling. 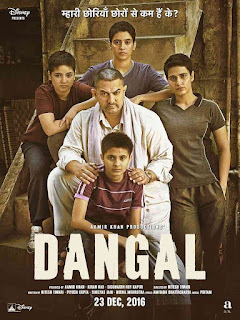 Dangal is all set for more collections as it's weekend and naturally, people are expected to flock to their nearest theaters to watch their favorite star who's back in action after two years.